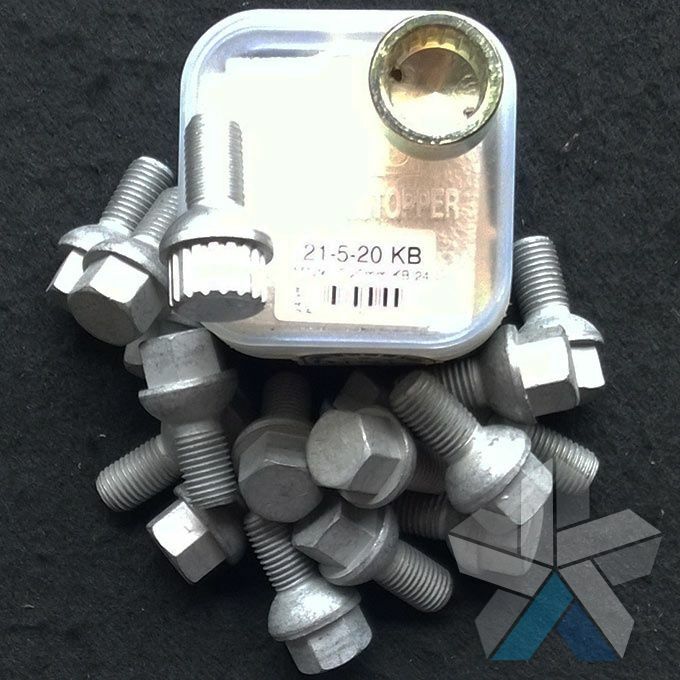 We sell a wide variety of bolt packs designed to fit many vehicles. 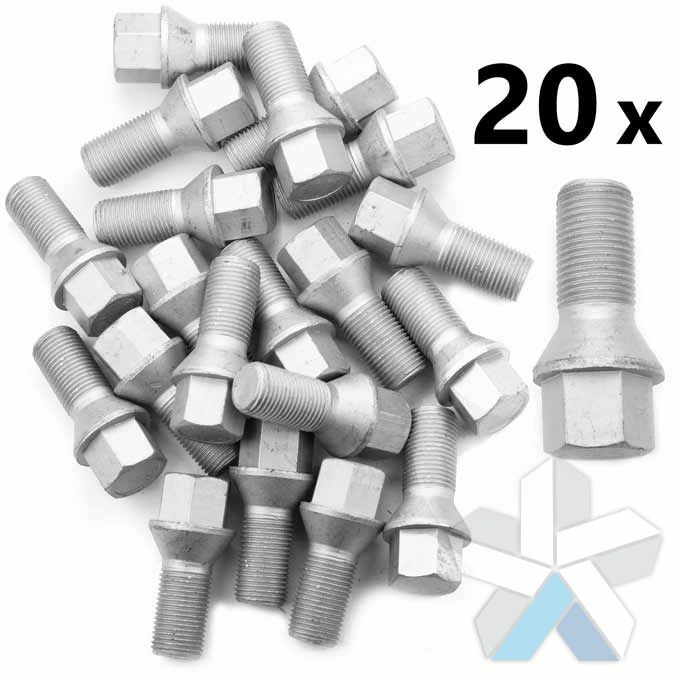 Our wheel nuts and wheel bolts are sold in packs of 12, 16, 20 or 24; this will replace all of the bolts on your vehicle (3, 4, 5 or 6 bolts per wheel). 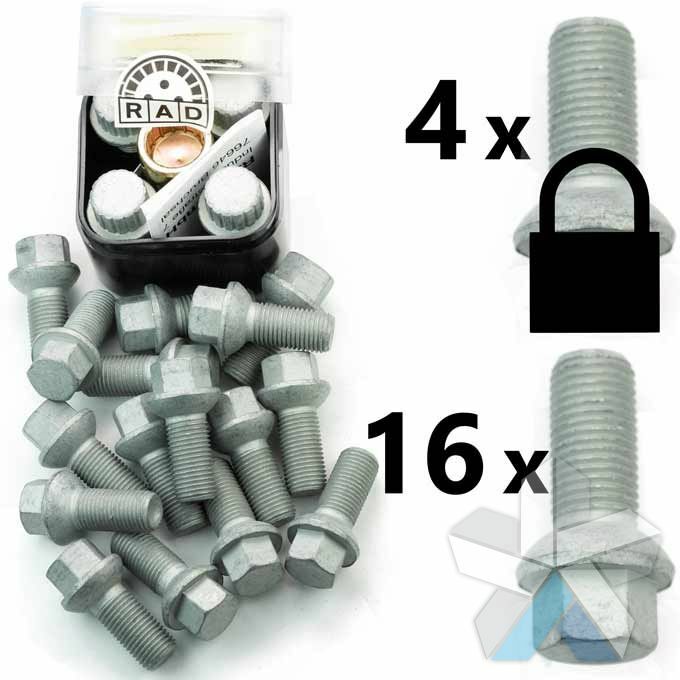 In addition to regular bolt packs we also sell mixed security packs that include 4 locking alloy wheel nuts and regular bolts. 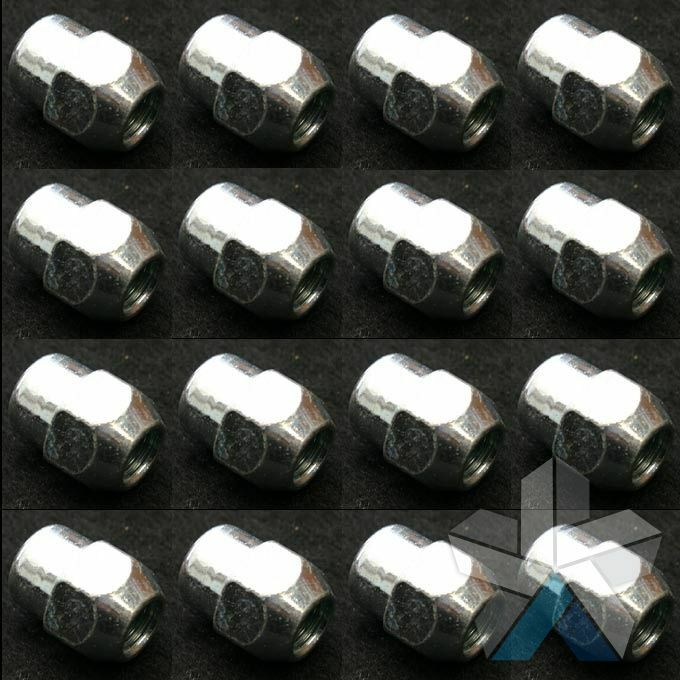 The majority of our nuts and bolts are engineered and manufactured by RAD - one of Germany’s leading lug manufacturers. 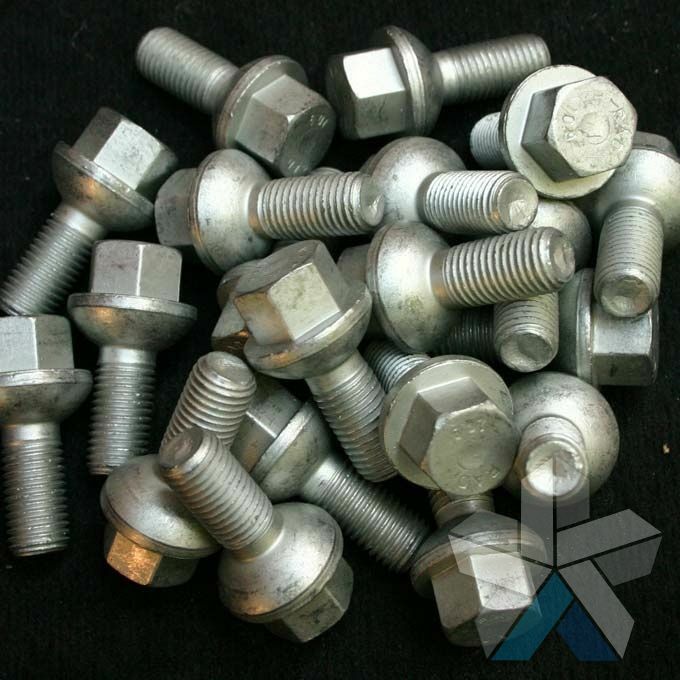 All of RAD’s products are designed and manufactured to the highest standards and tolerances and are rust and corrosion resistant as standard. This ensures that your wheel bolts not only have the longest possible life span but also are engineered with safety in mind. 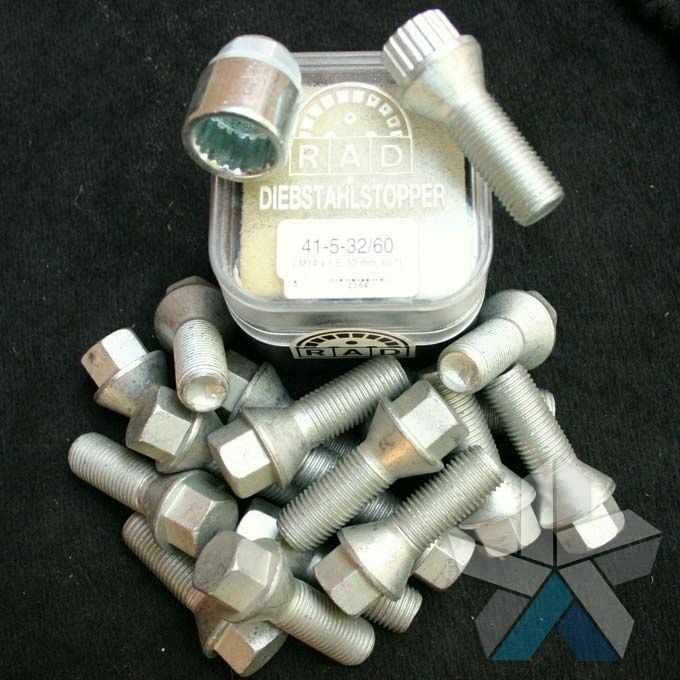 RAD’s locking wheel nuts are high security bolts designed to resist attack and prevent theft. 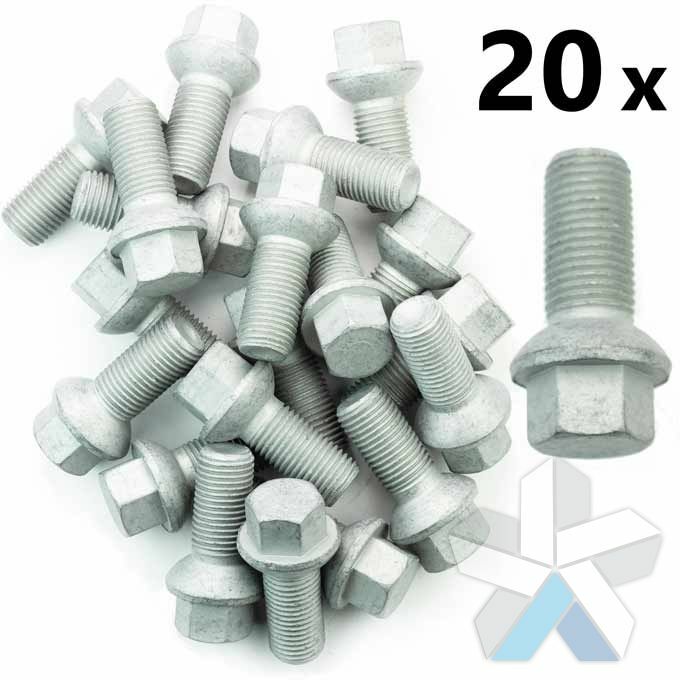 Customers usually purchase replacement alloy wheel bolts for their vehicles either because of damage or corrosion with existing wheel bolts or when they are installing new alloy wheels. 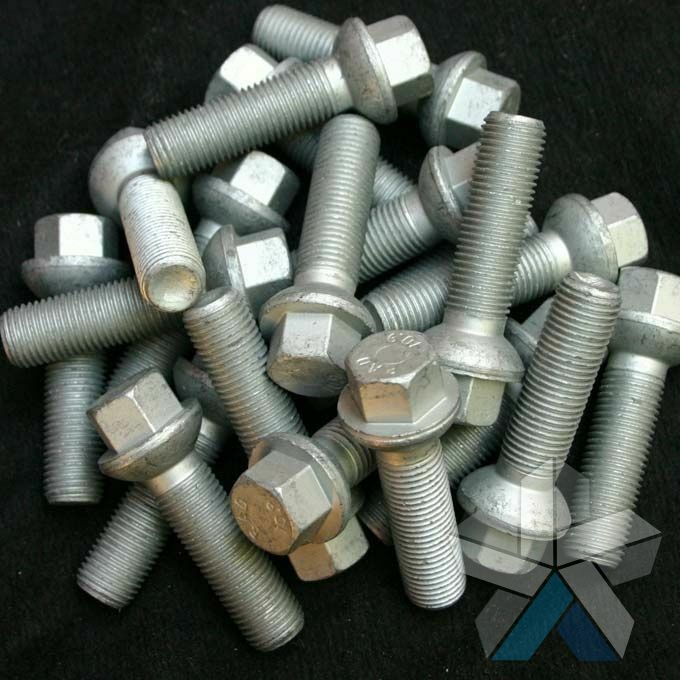 It is essential that you choose wheel nuts and bolt that are the correct fit for your vehicle, so if you are in any doubt please contact us for support and advice or refer to our code chart which can be used to identify the correct bolts for your vehicle when referenced against our product range below. 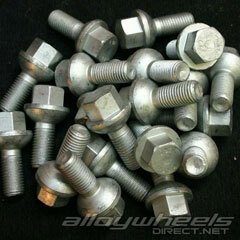 If you are installing new wheels and plan to use spacers, it is important to remember that you may need longer bolts. 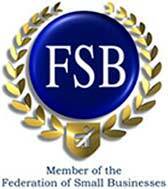 If you require individual bolts or lower numbers of bolts, or you can't find the bolts you need please call or email us. 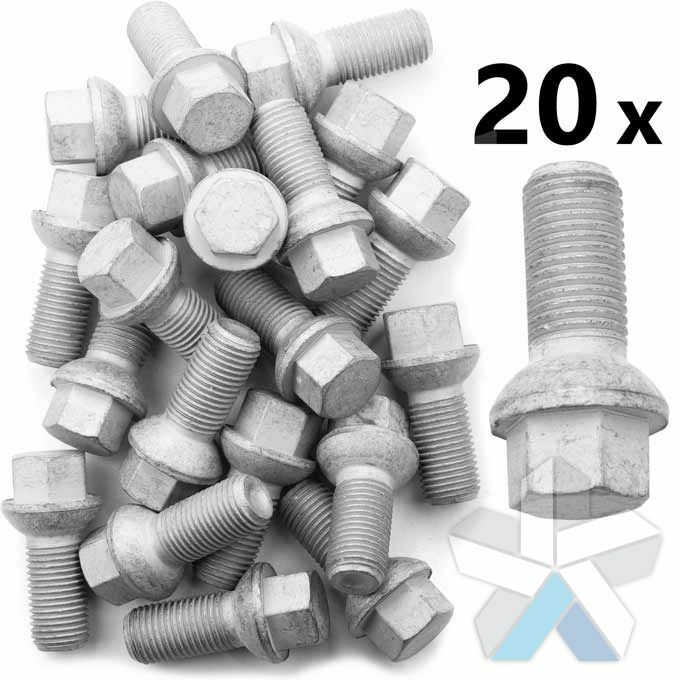 Dacromet 500A coating provides over 12 times the corrosion resistance than conventional zinc plated bolts (240 hours vs 20 hours salt spray test resistance). 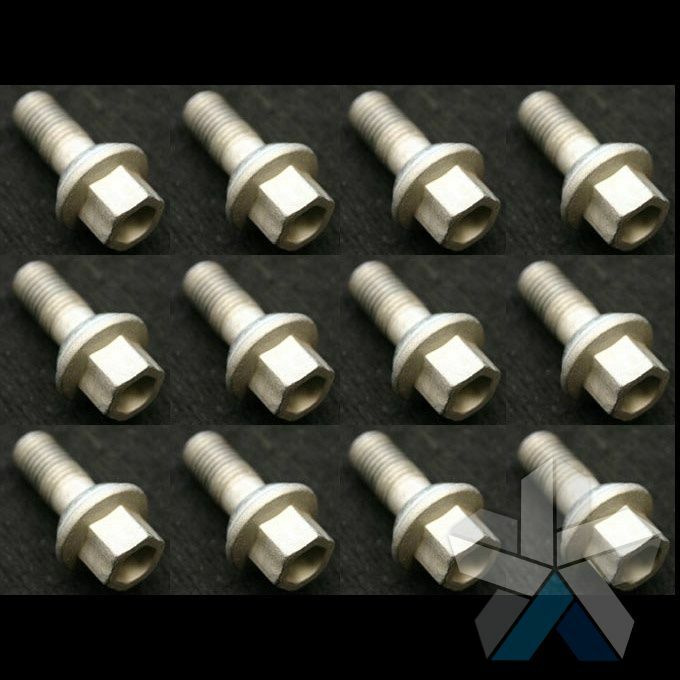 Various bolts are now being produced by RAD with Geomet321+VL coating in compliance to new EOLV regulations (end of life vehicle). Geomet321+VL provides 600 hours salt spray test resistance and the +VL layer is resistant to phosphoric acid based wheel cleaners. 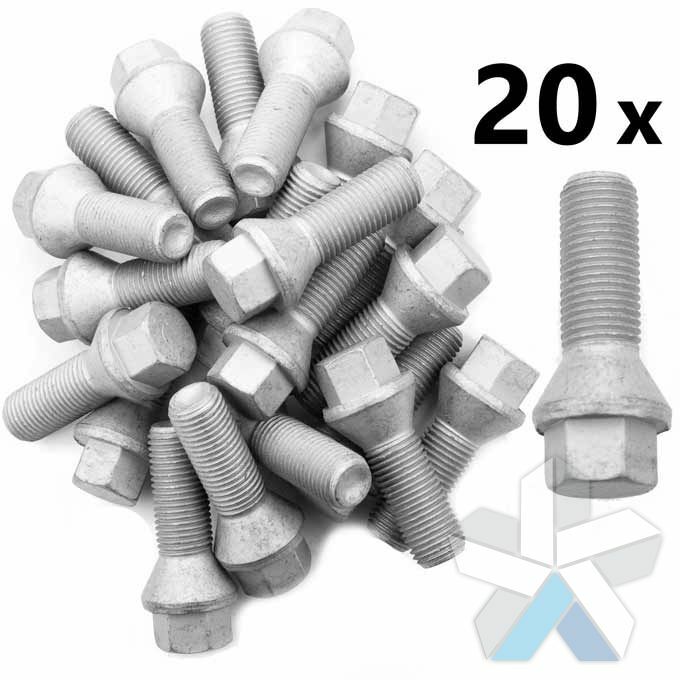 Set of 20 bolts (5 per wheel for 4 wheels). RAD part number: 4229. Surface coating: Geomet 321+VL. Shaft Length/mm: 26.5. Thread pitch: M14x1.5. Drive type: 17mm. Seat type: 13mm radius. 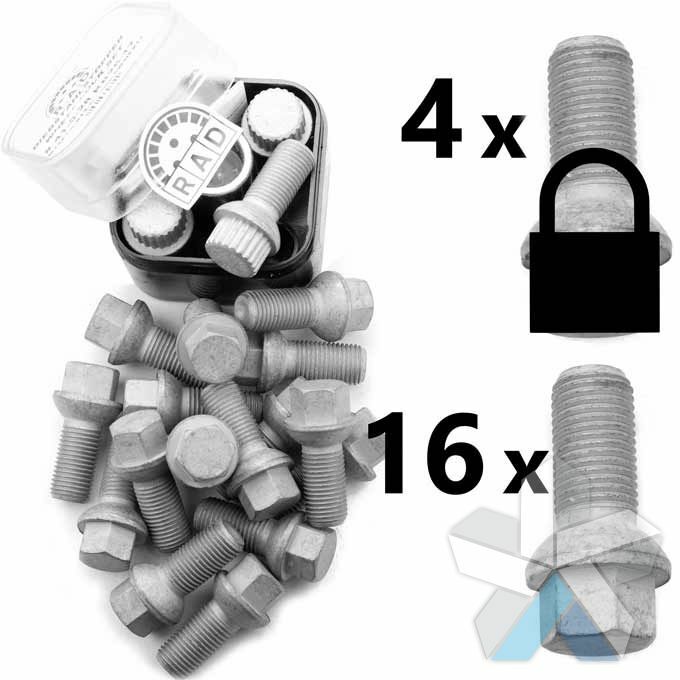 Set of 8 bolts and 4 locking bolts (3 per wheel for 4 wheels) Smart part number: A0009905607 Smart Locking Bolt part number: A0009906007 Suitable for all CityCoupe, ForTwo and Roadster models. 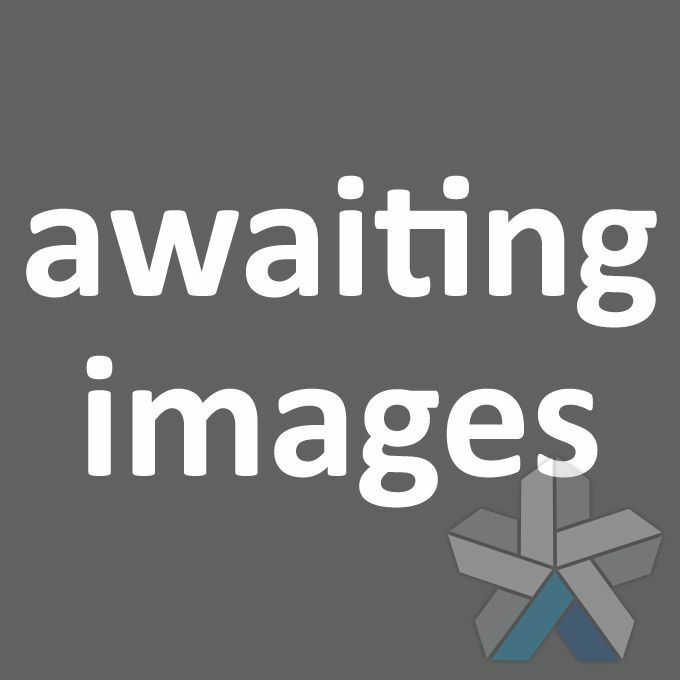 450/451/452 series.